Finals cookie brownie care package to get them through those long study hours. Brownie and Cookie care package. Perfect for your college student, as a pick me up, to brighten someone's day or just because. Your day just got a little sweeter or a lot brighter if your Name is on the Nana's shipping label. 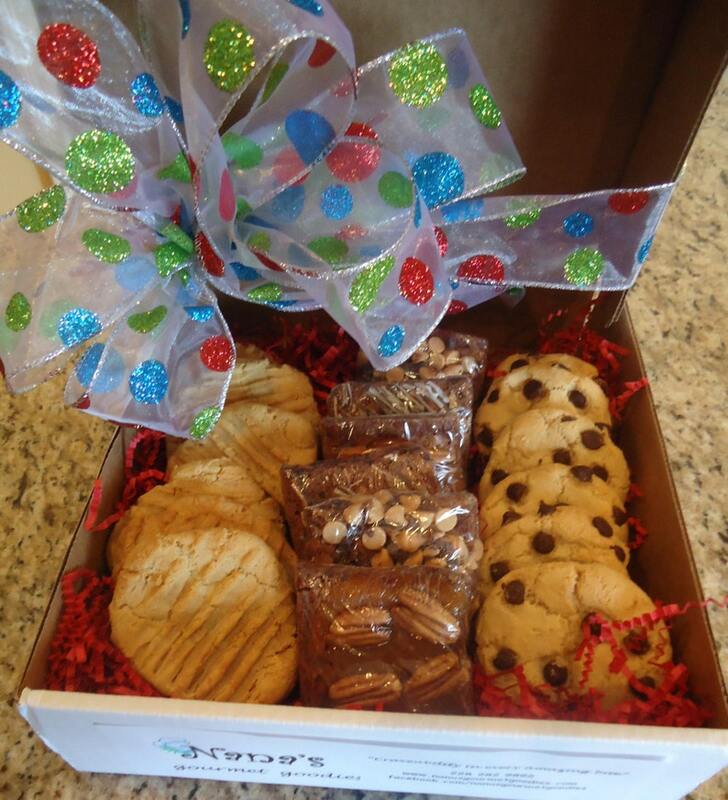 Care package has six delicious Nana's best selling old fashioned made from scratch brownies, including such yummy flavors as fudge, caramel pecan, mint, chocolate chip, peanut butter chocolate chip, milk chocolate, m&m, or chocolate fudge. And One dozen made from scratch cookies with such amazing flavors as M&M, chocolate chip, peanut butter, oatmeal raisin, snickerdoodle, chocolate crinkle and sugar cookie. Delicious, moist and oh so craveable. We can customize the flavors to suit your needs. Just leave a message in notes. You will receive six individually wrapped brownies and one dozen individually wrapped cookies. Made to order with the freshest ingredients. Boxed and ready to enjoy. ***** Perfect! Care Package made easy!!! *****My first care package to my son, as he is now in an apartment, so easy delivery. He absolutely loved his Nana's goodies, and we are now permanent customers. So happy we discovered Nana, as she brings a smile to everyone in our family! *****Delicious Brownies, great communication, and speedy shipping. These made a great Valentine's present. Thank you! *****They were perfect and they made my friend so happy to see them and she said the cookies were absolutely delicious. Thank you! My Granddaughter loved loved them! !